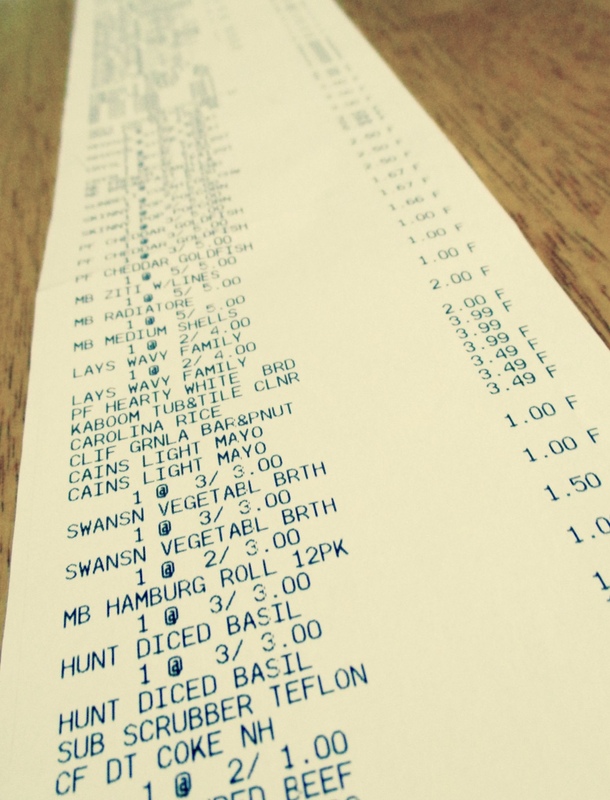 When I was a kid, and I mean a very little kid, I used to think a long grocery receipt was so amazing—in an awesome sort of way. I would watch the receipt poke its way out of the cash register and lengthen with each item the cashier keyed in during our weekly grocery trip. At first, the paper would loop around on itself. But soon, it would spill over and inch closer and closer to the floor, moving under its own weight. When the cashier pulled it out, she would wind it back and forth like an accordion until it was the same size as the bills, handing Mom a neat pile of dollars, receipt, and green stamps. How exciting it would be, I thought in my little girl mind, to get such a long strip of paper as a receipt. When that happened, it would mean I was truly an adult. Back then, the receipt was a tally of every single item, unlike now when some things that are bought in a quantity of more than one might only count as one line on the receipt. And back then, each item was keyed in by the cashier. There were no scanners in my childhood, but we didn’t seem to mind the wait in the check out line. Of course, we didn’t have a choice. Today, I am here to say that if a long grocery receipt is the sign of adulthood, I have (definitely) made it! Not only have I made it, but I will be back at the local grocery store in the middle of the week. Because no amount of food lasts long in my house. The reality… that 2.7 pound bag of cherries I bought at 2:30 this afternoon that I thought would last the week? That was a snack for a hungry teen. It’s funny, isn’t it, how our perceptions change as we grow older. Nowadays, I am likely as not to cringe at the long grocery receipts. What did you used to think would be really cool, but now makes you cringe? It’s been almost six months without Dad. In those six months, the grief comes and goes in waves, but lately, the waves have been farther apart. I think this perhaps because I am not in the car as much during the summer, not alone as much, and therefore, I don’t have the opportunity to cry. As much. And some days, that creates an illusion that the grief is subsiding. 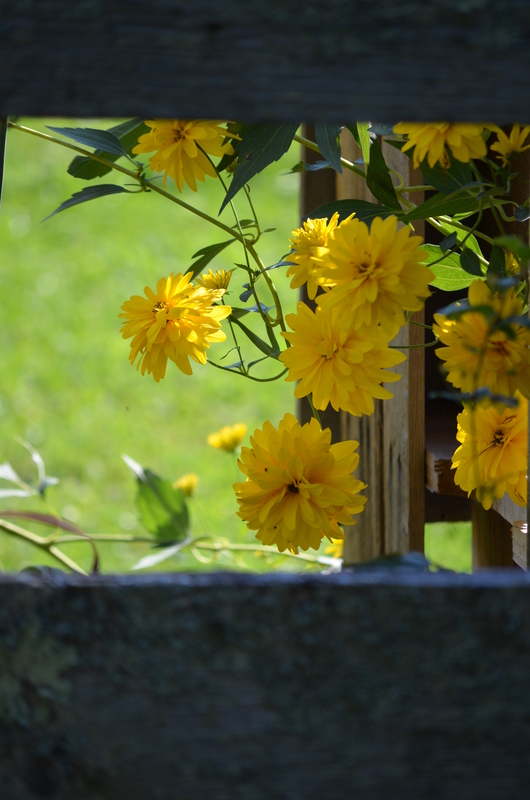 But on Sunday, I had one of those “sneak attacks” of grief I had been warned about. I was at my daughter’s dance recital, and I was enjoying the show. I had remembered years when Dad had been in this very auditorium watching his only granddaughter perform, but I was able to bury that thought. That is… until the kindergarten class took the stage. The little ones are always the cutest, but then their music came on, a rendition of “Baby Mine” performed by Alison Krauss. And suddenly, feelings I didn’t know I was having came bubbling to the surface in a figurative storm of emotion. It was a whole mixture of Dumbo and circuses and Dad. And sitting there in the dark, I cried. 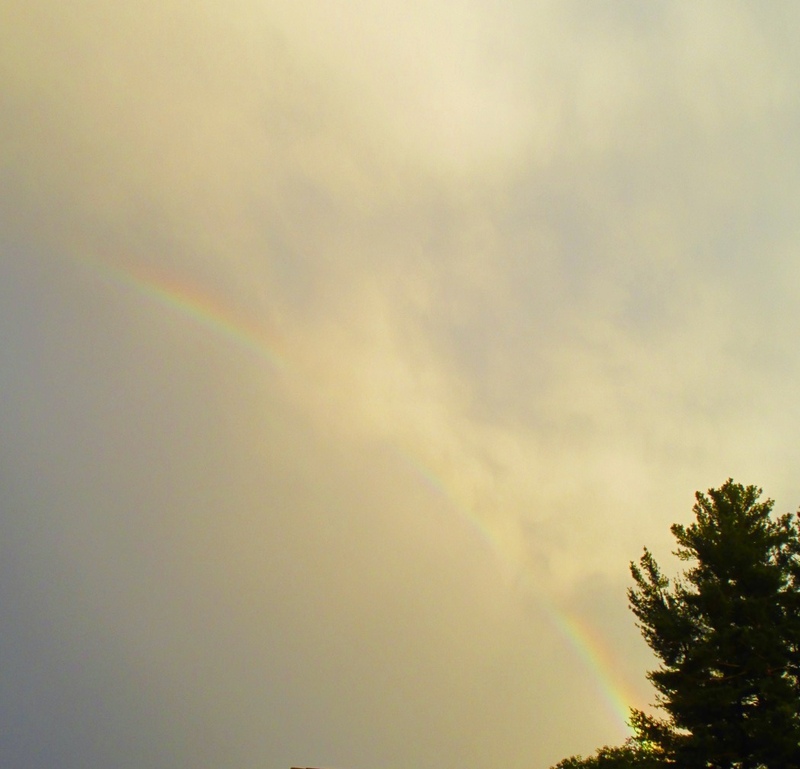 That afternoon, after a literal storm, there was a rainbow. It was the second that weekend and was followed by two more the next day. 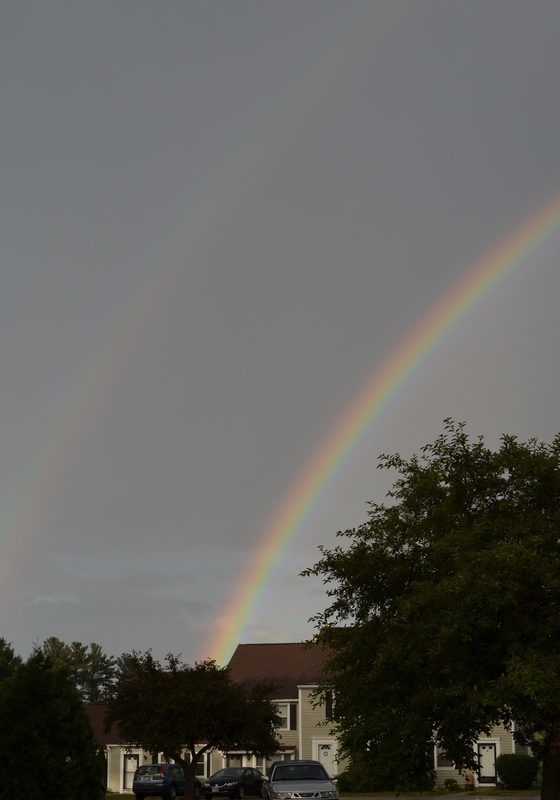 These rainbows were gifts that lifted my spirits and filled my heart. Not many dads take the time to write poetry for their daughters. But my dad—he was the best. So Dad, we send you off with all the love we can muster and a promise to miss you forever. 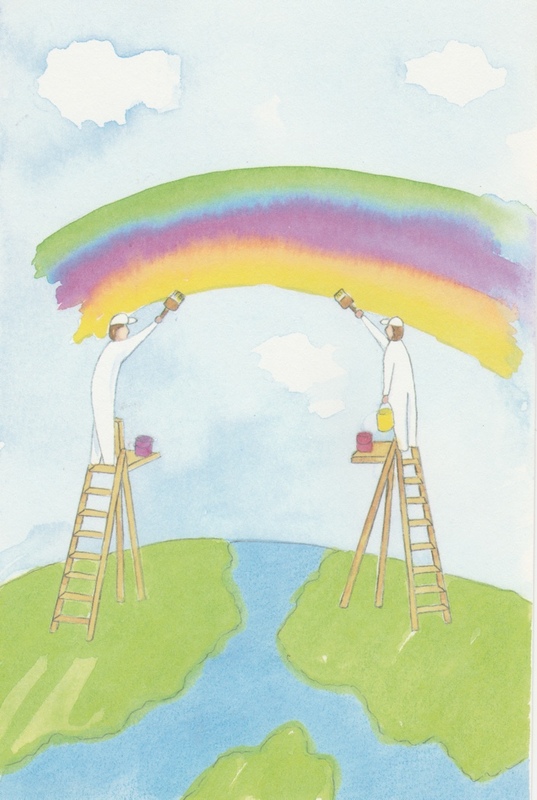 And if you’re listening, paint us some rainbows. 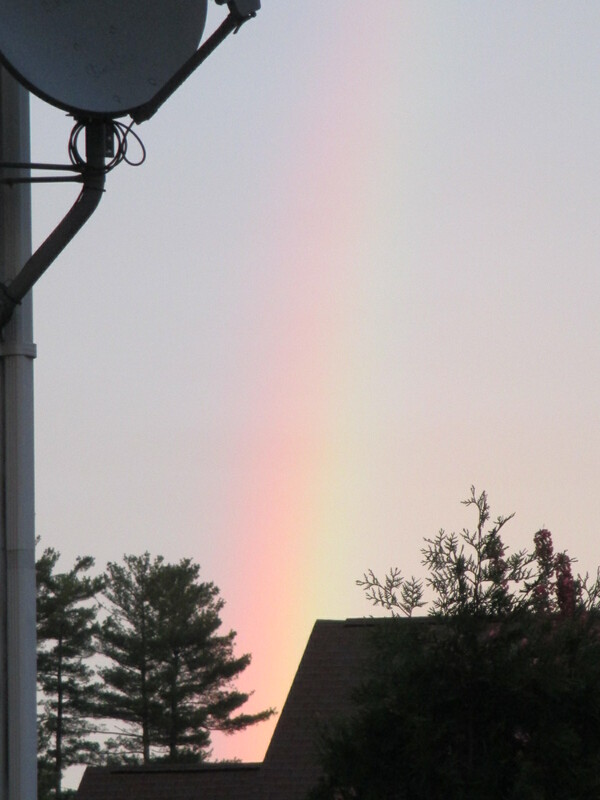 This year, I have seen more rainbows than usual. 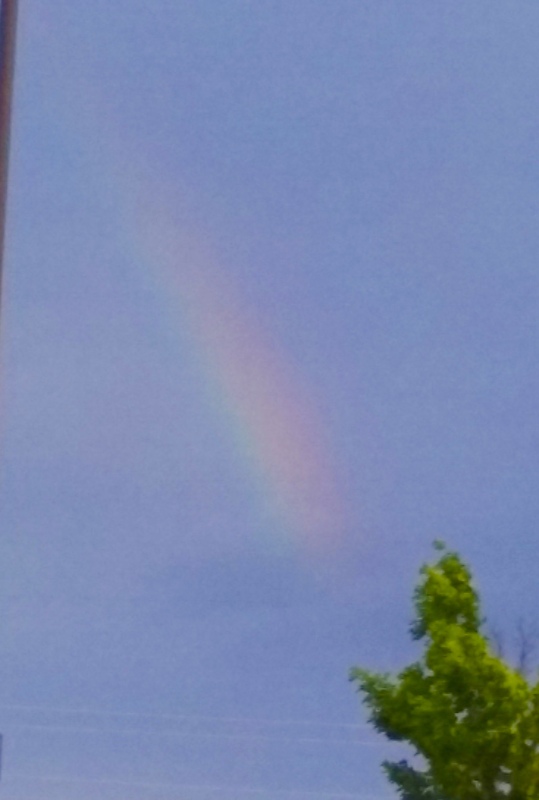 And for me, every rainbow is a gift—a very special gift—that lets me know Dad is still with us in some way, and he is letting us know he is thinking about us. I have always loved to bake. More importantly, I love to bake for others. In my early adulthood, I was a member of the dorm staff of more than one boarding high school, and my living quarters were accessed from the dormitory floor. Back then, when I baked treats, students were well aware as the scent of baking cookies [muffins, cupcakes, etc.] wafted through my door and out onto the hall. They knew that when study hours were over, there would be freshly baked snacks. This was one of the ways that I let my students know I cared. Nowadays, I am still committed to baking for others—for my family, my students, my coworkers, my children’s friends/parties/bake sales, etc. And every now and then, I have this strange urge to combine unusual ingredients. Last week, I had an avocado that needed to be used up, and I considered using it to make muffins. A quick Google search, and I found Gimme some Oven, where I scored this recipe for blueberry avocado muffins, a healthy and amazingly delicious alternative to the traditional blueberry muffins. 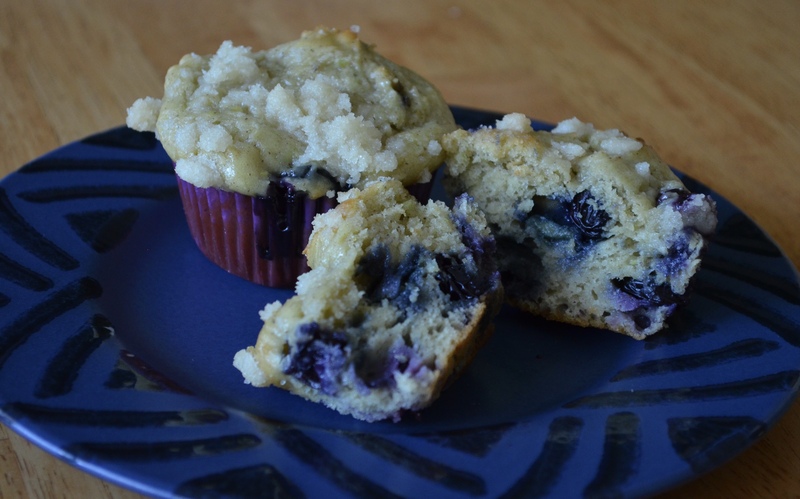 Because these muffins are both healthy and tasty, I will definitely be making them again! This is one of the ways I let my family know I care. If everyone was required to drive around with something silly in—or on—their car, people might be less angry as they drove around. And after a couple of recent incidents with road rage, that would probably be a good thing. Most recently, over the weekend, we suddenly—and unintentionally—took a detour into the creepy and frightening land of road rage. I’m not exactly sure what set off the driver who was behind us at a stoplight. It had something to do with my oldest child, in the backseat at the time, who made eye contact with the driver of the other vehicle. She was a middle-aged woman. Now, I don’t want to meddle in her life, but perhaps she had bottled up too much of the week’s negativity. Whatever it was that set her off, it was very clear that she had a profound need for attention, and she was willing to compromise the safety of everyone else on the road in order to get it. At the next light, she pulled up beside us and tried to get me to roll down my window. But thank you anyway, I know better than to engage with a crazy stranger. Through the window, I could hear her screaming and cursing, and my peripheral vision was catching her wild gestures. The light turned green. “Go!” I instructed the fifteen-year-old driver (who remained amazingly calm), and he turned left around the corner. The woman swerved her black Mercedes from a non-turning lane, and that’s when it was clear we weren’t going to lose her any time soon. At the next light, she again pulled up beside us, this time on the left, her hands still waving as her passenger window lowered. I picked up my phone. We had just passed a cruiser, so I knew there were police in the area. I debated calling 9-1-1, but opted instead for the non-emergency number. But this was not my town, so I had to go through directory assistance, all the while, the woman was in hot pursuit and my son continued to drive. In the back seat, my daughter was audibly hyperventilating at the same rate that I was silently hyperventilating. As the adult in the situation—and clearly the only adult despite the middle-aged woman in the car beside me screaming obscenities—I was responsible for displaying an impression of utmost calm. “Police Department, can you hold?” the voice said. I have never been more relieved than I was when she turned right onto the side street at that light. She was probably trying to disappear before the police caught up to us. But the police had her license number and a description of her car. I really hope they found her. It seems she might benefit from a lengthy discussion on, well … manners. 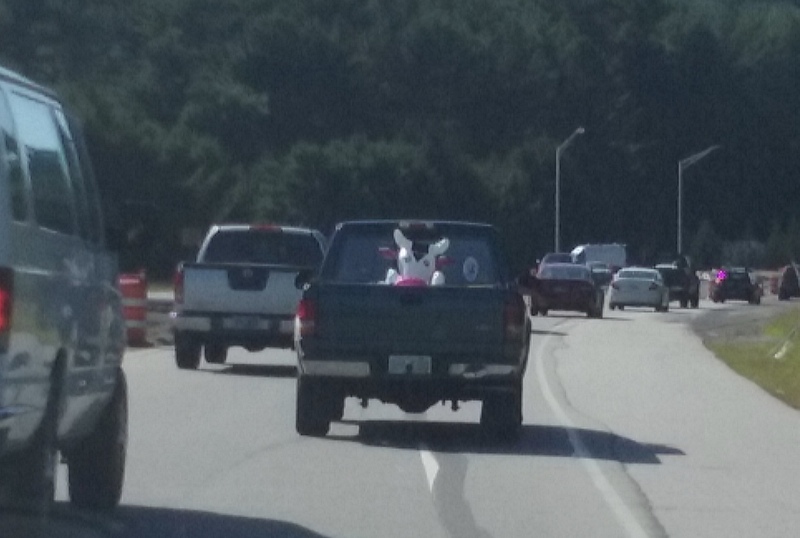 And I would definitely benefit from carrying a silly inflatable animal in the back of my car. I often find that humor blossoms from the littlest things. 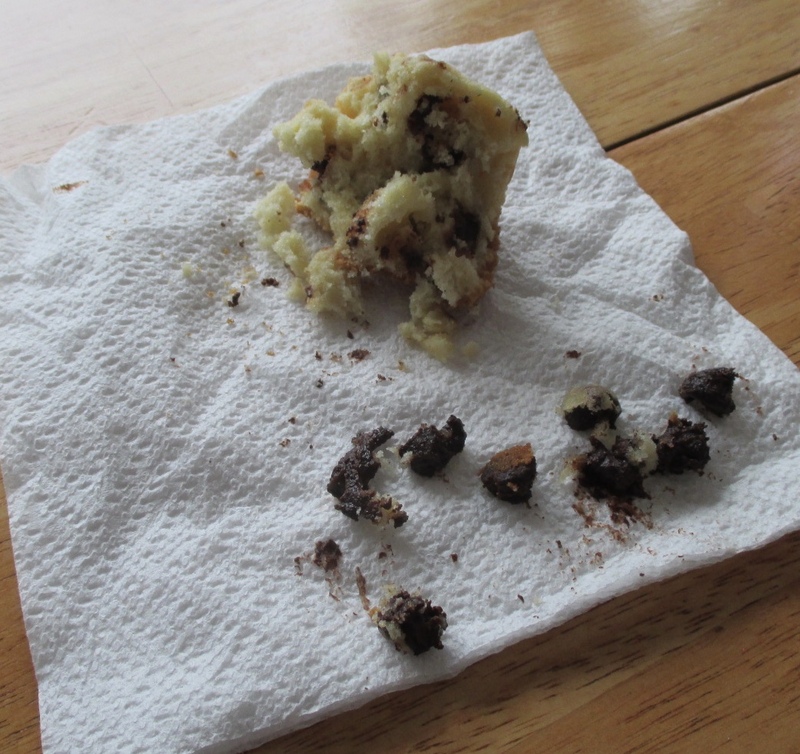 Yesterday, for example, my daughter set out to eat a chocolate chip muffin. Because I know she is not a sweet-eater, I offered to split it with her, but she turned me down. The muffin wasn’t that big, and she was hungry. It wasn’t long before I was given the phenomenal opportunity to finish the muffin. I turned and looked at what was being offered to me. Hmmm… a small piece of muffin with chips extracted. No thank you… In the end, I ate the muffin and left the stray chips on the napkin. Today, I went to Walmart to get a new bathroom scale since ours stopped working a couple weeks ago. I don’t weigh myself very often, but my children weigh themselves regularly—and by regularly, I mean between once a month and once a week. 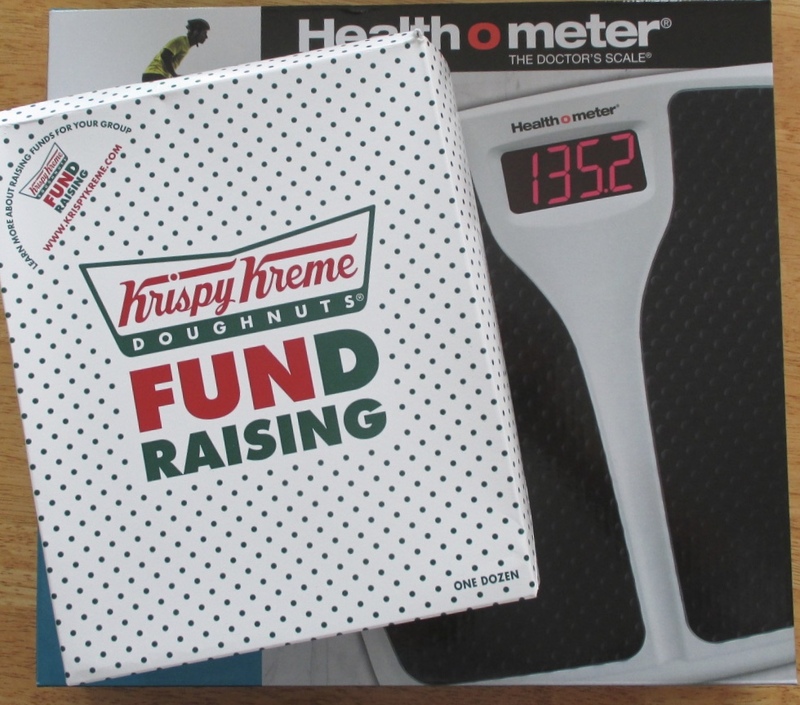 When I pulled up to my house, I had a bathroom scale and a dozen Krispy Kreme donuts, both purchased at Walmart. The donuts were being sold from a card table outside the front door of the store. How could I turn them down? Donuts that raise money for Scouts? That’s a total win, and I’m in! As I walked in the door with my purchases, I definitely found the humor in this combination. Where did you find humor today? When I was a kid, my mother made sure I was kind and polite, and she often repeated the adage, “If you can’t say anything nice, don’t say anything at all.” I will admit that even as a young girl, if I wasn’t careful, I would easily tumble into a snarky comment before I could catch myself. But with my mother’s frequent reminders, I learned to think before I spoke—most of the time, at least. These days, it seems “If you can’t say anything nice…” has gone by the wayside. More and more frequently, it seems people on social media sites are posting comments specifically to pick a fight. I am not naïve enough to think there are so many full-grown adults who are incapable of recognizing inflammatory remarks when they are posting to social media. Kindness just takes a bit of forethought. If we are trying to discourage our children from engaging in cyber-bullying, why are so many adults modeling the opposite behavior? Why are we so quick to be nasty to others behind the shield of our computers? In the early days of the Internet, online comments were made under a guise of anonymity. Nowadays, people on social media post their comments—anything from nice and complimentary to mean and judgmental—attached to their full names. The lack of kindness has grown tiresome, and with everything else that’s going on in society, I have decided I am going to opt out of all this negativity. I am going to create a blog exercise designed to promote positivity. The Positivity Project. Now, I’m not going to argue life is all sunshine and rainbows. Not even close. But I am going to suggest that if we look hard enough, we can find something positive in [just about] every situation. And if we get in the habit of looking for the positive, eventually, it will become second nature, and we will notice the positive without looking. I would like to puncture the bubble of negativity that threatens our society and instead, start a wave of positive feelings, thoughts, and ideas that can carry us forward from here. Today was positively productive for me. I completed some necessary work, and I was able to do some cleaning and organizing. And now, I invite you to join me! In the comments below, or on your own blog, write about one positive thing from your day. I had a bunch of bananas that were [well] past their prime, so when the very brief heat wave passed, I decided to use them in a banana bread. Typically, I make banana muffins, but bread seemed more pleasing today, so I turned to the Internet in search of a new recipe. Just for something different. 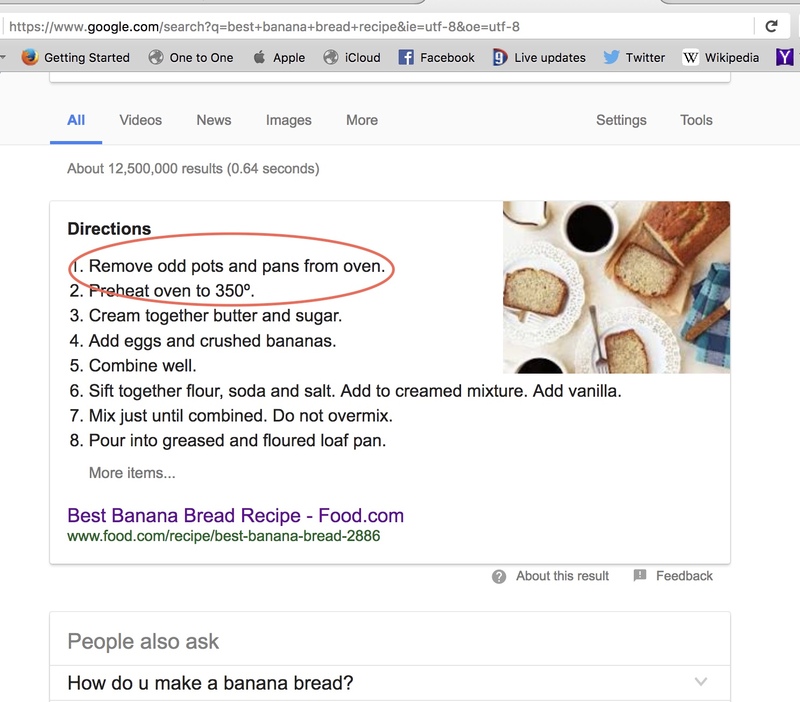 When I googled “best banana bread recipe,” the first thing that came up was a recipe from Food.com—the directions began, “Remove odd pots and pans from the oven.” Wait… what? Even though I have never seen a recipe begin like this before, it doesn’t seem like an odd way to start a recipe. When I was growing up, we had a gas stove. Back then, gas stoves had a pilot light that was on all the time, which meant that the oven remained warmish. All the time. After we washed the dishes or unloaded the dishwasher, anything that was still damp would end up in the oven where it would dry with the help of the heat from the pilot light. Before we baked, we always had to check the oven for “odd pots and pans.” If we forgot… well, things that shouldn’t have been in the oven would melt or burn. So when I came across this recipe today, I had an unintended a trip down memory lane. But then it occurred to me… we must not have been the only home in which “odd pots and pans” were stored in the oven when it was not in use.